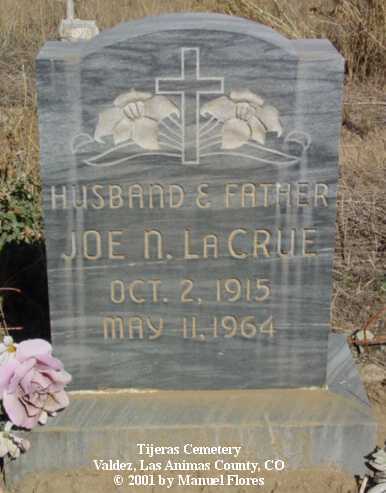 Joe N. "Nick" LaCrue son of Pedro J. 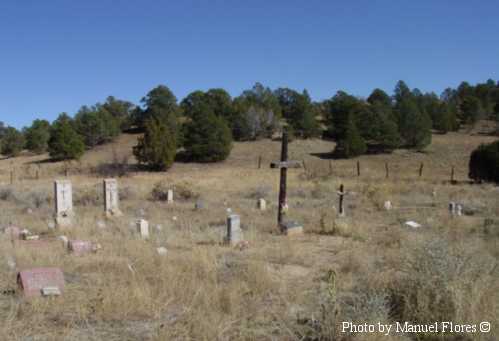 & Maria Concepcion (Rivera) LaCrue; b. 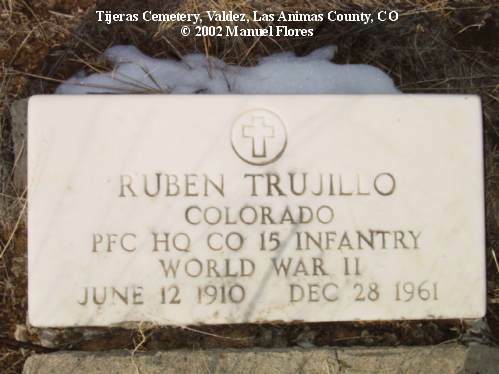 2 Oct 1915, Tobe, Las Animas County, CO; d. 11 May 1964, Trinidad, Las Animas County, CO.
Pedro Jose LaCrue, son of Francisco & Maria Theodorita (Duran) LaCrue; b. 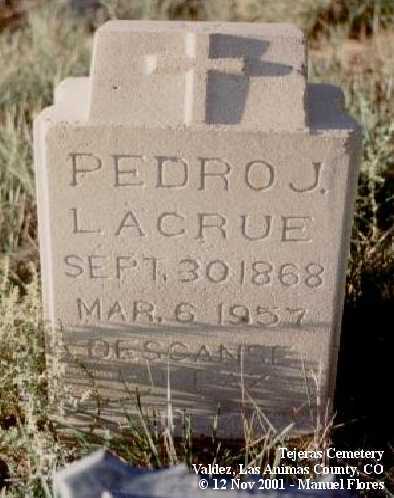 30 Sep 1870 (info obtained from Holy Trinity Catholic Church); d. 6 Mar 1957, Trinidad, CO.
Oclires (LaCrue) Samora, daughter of Pedro J. 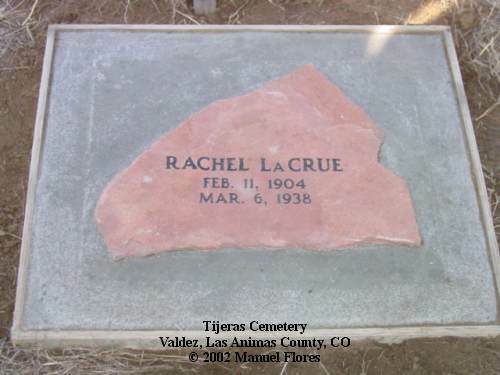 & Maria Concepcion (Rivera) LaCrue; b. 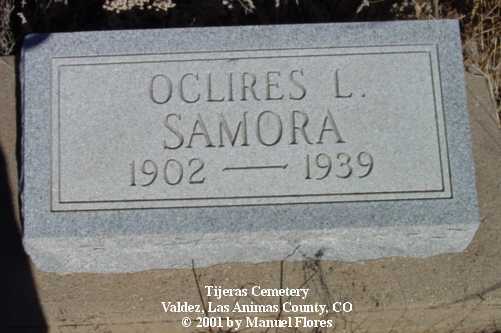 26 Mar 1902, Starkville, Las Animas County, CO; married Samuel Samora on 14 Jul 1924 in Trinidad, Las Animas County, CO; d. 13 Mar 1939, Bon Carbo, Las Animas County, CO.
Born and died Las Animas County, Colorado.